Cylindrical grinding is also known as "between centres" or "o/d" grinding. It is utilised for the grinding of multiple diameter shafts and parts where concentricity to the centre line or concentricity between one or more diameters is important. It is also used for bigger work that exceeds the capacity of our universal grinding machines. 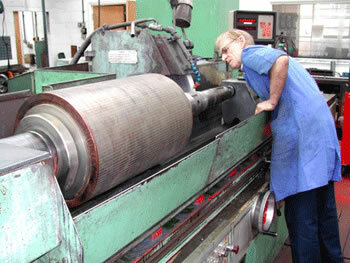 We have a large cylindrical grinding capacity. Johansson grinder 550mm dia. x 2000mm long between between centres. Jones & Shipman grinder 250mm dia. x 1525mm betweencentres.